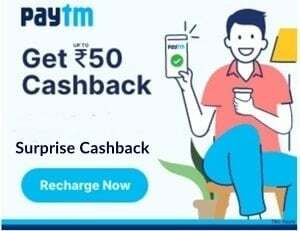 Now get 2 Paytm recharge cash back vouchers for free under Quikr Paytm Offer . 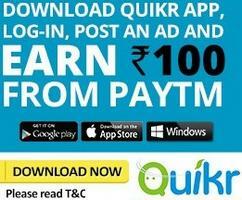 One voucher worth Rs 50 for download Quikr app and second voucher worth Rs 50 for posting an advertisement on it. 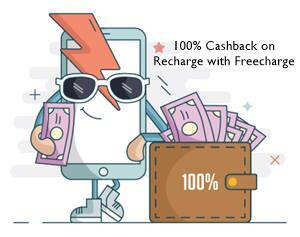 Quikr and Paytm both are offering you a to get double recharge offer. Download a Quikr app on your mobile phone and log in or sign up in that app then you receive a Paytm voucher of Rs 50 then in that app make a new advertisement and you receive a another coupon from Paytm of Rs 50 . 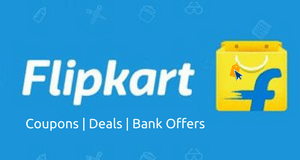 Quikr Paytm Offer is an exciting offer to redeem it at the earliest. Login/Sign-up on Quikr App is mandatory post download. Coupon code cannot be sent without signing-up with valid email ID. Offer is valid only for new downloads. Existing Quikr app users are not eligible for this offer. A user is not eligible for coupon if he/she uninstalls and reinstalls Quikr app , and valid for once only. Ad must be posted from Quikr app only and an avail this offer only once. Existing and new Quikr app users are eligible for this offer. User will be sent Coupon code only after the Ad posted is validated. Invalid/Junk ads won’t be accepted. The unique Coupon code for any offer shall be sent to user’s registered email ID within 24 hours . Offer is valid in India till June 13th, 2015 on download of Quikr app and/or ad post on Quikr app. I download the quikr app yesterday for the first time and posted an ad but quikr don’t give me any of two coupons. Why?? I got the unique coupon code bt i dnt knw to use it.. plz do help me.. should i hv anx dr. Or cr. Card to do dis.??? Simply recharge with paytm and use the promo code.